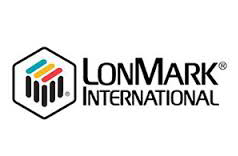 Thank you to those who attended the free LonMark Educational and GridWise Architecture Council Seminars at the 2017 AHR Expo, Jan. 30-31, in Las Vegas, NV. And for those who did not attend or may have missed a seminar they are all available now. There are dozens with relevant topics for building automation, outdoor lighting, restaurants, energy management, cyber security, process automation, and more. The PDF and mp3 audio files are now posted from each presenter at the link below. You will be directed to a registration form after which you may access all available downloads from this year's event and back to 2011.